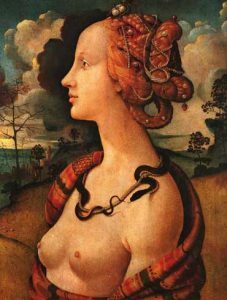 Liberal Bohemian: The Gnostics saw Eve as the "awakener." The Gnostics interpreted the story of Genesis differently than did ancient Jews and Christians. To the Gnostics, Adam and Eve were not historical people, the predecessors of humankind, or the original couple who brought sin upon humanity, but rather the personification of two principles indwelling in humans. While Adam personified the soul, Eve represented the spirit. Adam represented the "lower self" and Eve the "higher self." Right away you can see the problem that orthodox Christianity might have with this idea because it places Eve in a superior position to that of Adam. 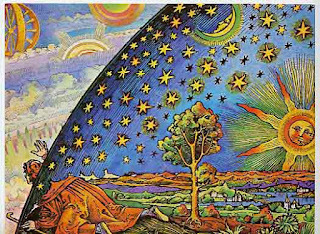 The Gnostics viewed Eve as Adam's numinous "awakener." The second century Gnostic text titled Apocryphon of John reveals that Adam was covered in the "drunkenness of darkness" and he awakened when Luminous Epinoia (or Eve) appeared and "lifted the veil which lay over his mind." Before orthodox Christianity established the belief in the Trinity--that is, belief in the Father, the Son, and the Holy Spirit--and the belief subsequently became part of the orthodox Apostles' Creed and the Nicene Creed, some early Christian communities venerated a deity named Luminous Epinola as the Divine Eve. The word "luminous" suggests light, so Gnostics undoubtedly saw her as a "light bearer," empowered to illuminate the sacred in their lives. The Apocryphon of John states that she is humanity's capacity to know God. The narrator of the Apocryphon of John asked Jesus if every human receives her, to which Jesus replied, "Yes." The Gnostic Eve stands in dramatic contrast to the Orthodox Christian view of Eve as a weak, impressionable woman, powerless to resist the Serpent's temptation to eat from the tree in the center of the Garden of Eden. Eve "saw that the tree was good for food...pleasant to the eyes, and a tree to be desired to make one wise" (Genesis 3:6). She wanted those things. Consider this in the cultural context of the times of Jesus, when women were considered the property of men. Because of the times in which they lived, women were not educated and likely not well versed in the ancient scriptures, although they would have had some knowledge in order to train their children and practice the faith themselves. Until Jesus came along with his egalitarian beliefs and practices, women were not thought capable of understanding the deep wisdom of the scriptures. Many Jews and Christians saw Eve's act of defiance at disobeying God, of eating the apple, and of involving Adam by offering him a taste as a sin against the Father God. The second chapter of 1 Timothy describes the blame assigned to Eve for desiring knowledge and partaking of the forbidding fruit.